Whether the sun is beating down on a home or a rain storm is overhead, shingles will be used to protect a home from the elements. 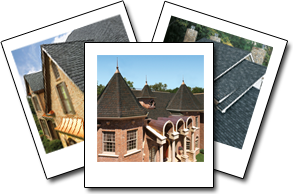 Boehm Roofing is an industry leader in shingle replacement and installation. Changing your siding can really change the curb appeal of your home. Choose from dozens of siding types and over a 100 colors options! Complete this form to request a quote | A representative from Boehm Roofing will respond within 24 hours. Thank you for contacting Boehm Roofing , a representative will contact you shortly. If you're looking for a reliable roofer, you've come to the right place. Boehm Roofing is an established roofer in Williamsville, IL, and our goal is to provide quality roofing and exterior services which leave our customers satisfied. With every roofing and exterior project we undertake, we pledge to be on time, within budget, and . . . Done Right! At Boehm Roofing , we're ready to tackle all of your home needs, from general repairs to roofing emergencies.